The Cable installation often gets far less importance than it really deserves. However, the fact is you can only achieve optimum performance of all your networking and Phone system through some good planning, robust designing, professional installation and proper maintenance of your cabling systems. Therefore, whether you need new structured cabling installation or cable removal service for your cabling systems upgrade, you can rely on OPERANT for providing you the best-structured wiring services at most affordable prices. 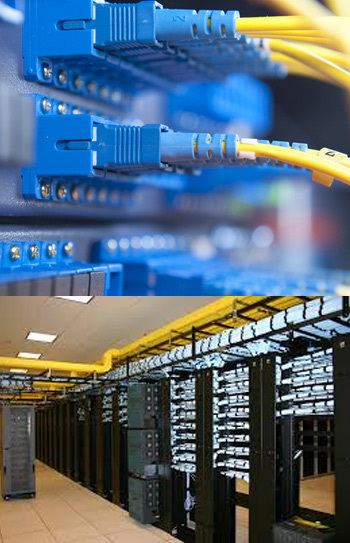 OPERANT caters to all cabling and networking needs of large / small, commercial and industrial clients, offering a whole range of data / voice wiring products and networks including designing, installation, and maintenance services. We at OPERANT strongly believe technological advances bring about better changes, so we keep abreast the latest technological enhancements and pass on the same to all our customers, bringing them more value and a technological edge over their competitors. We take pride in playing a vital part in the growth of your business and consider your success as ours. Keeping pace with the ever-evolving technological advancements OPERANT is your one stop solution to all your structured cabling, wireless networks, and telecom needs.